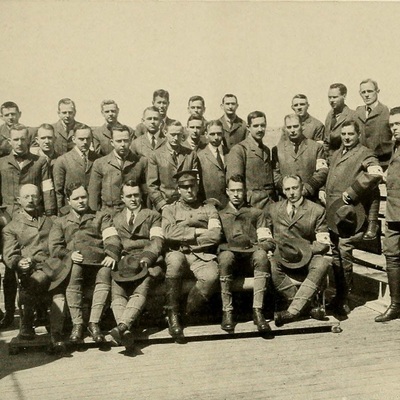 The earliest “Hopkins” experience with the war was the Mercy Ship expedition in September of 1914. Within weeks of the outbreak of war, the American Red Cross dispatched a ship to Europe loaded with medical personnel and supplies. Named the SS Red Cross, it was better known as “The Mercy Ship.” It carried 170 surgeons and nurses who were being sent to Europe to provide medical relief to combat casualties on both sides of the war. This was consistent with the articles of the Geneva Conventions and the principles of the Red Cross Movement that called for strict observance of neutrality and impartiality. This early expedition became an important steppingstone in the organization’s evolution. At the beginning of the war, the American Red Cross was a small organization still in the process of developing its identity and programs. Those programs were largely domestic. The organization launched many more campaigns after Wilson declared war in 1917. By the time the war ended in November 1918, the American Red Cross had become a major national humanitarian organization with strong leadership, a more global mission, a huge membership base and a broad and distinguished record of service. It had also opened international careers for American nurses that would have been unattainable before the war. The vast majority of the people who went with the Mercy Ship expedition were nurses. They included several with connections to Hopkins. A notable example is Vashti Bartlett. Bartlett had graduated from the Johns Hopkins Hospital Training School of Nurses in 1906. When war erupted in Europe, Bartlett signed on with the second Mercy Ship contingent in 1915. 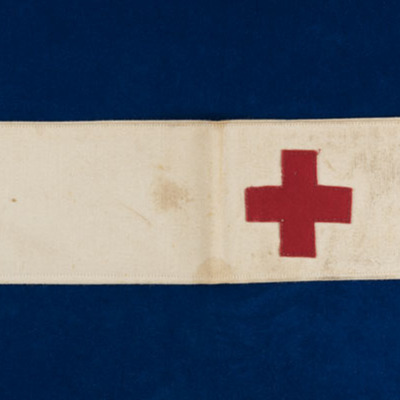 She served at the American Red Cross unit in Pau, France, from March 1915 to October 1915. Then she transferred to La Panne, Belgium, where she served until January 1916. It was the start of a momentous global career, one that would have been unattainable for women earlier in the century. 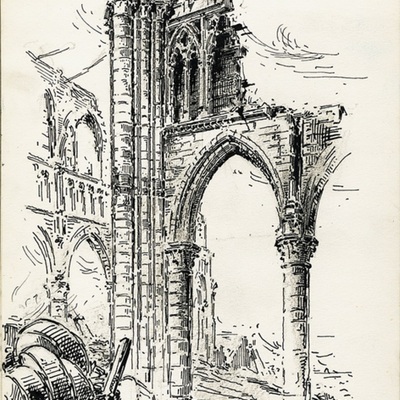 Bartlett collected many things while working in Belgium. Among them were pieces of art created by her patients. 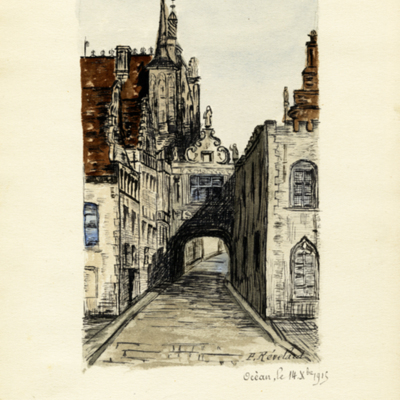 This scrapbook contains several such drawings by patients she cared for while in Belgium. 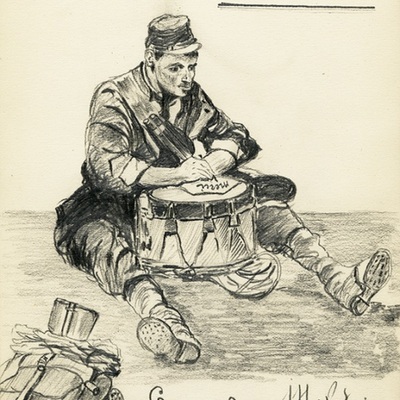 There are a wide range of images, revealing the many ways in which warfare impressed the lives of caregivers and soldiers on the front. 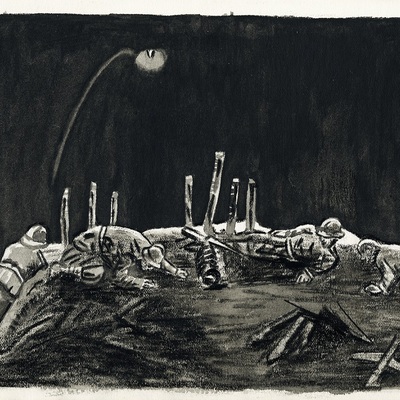 The book contains etchings of ruins, caricatures of different people, sketches of bedside care as well as a powerful rendering of trench warfare at night. Visit the Johns Hopkins Training School for Nurses section of this exhibit to learn more about Bartlett and other nurses on the Mercy Ship expedition.